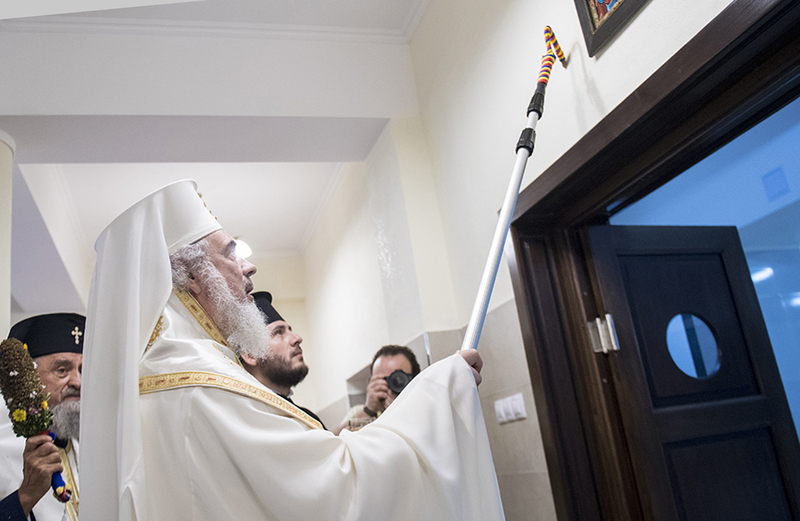 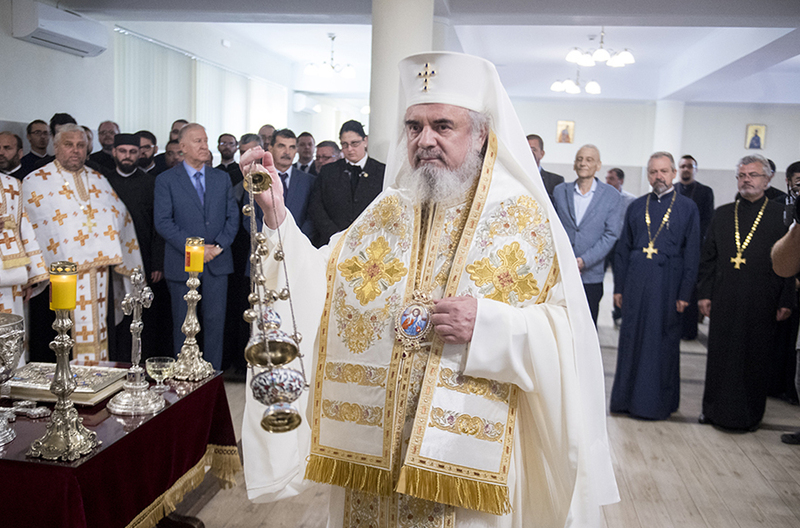 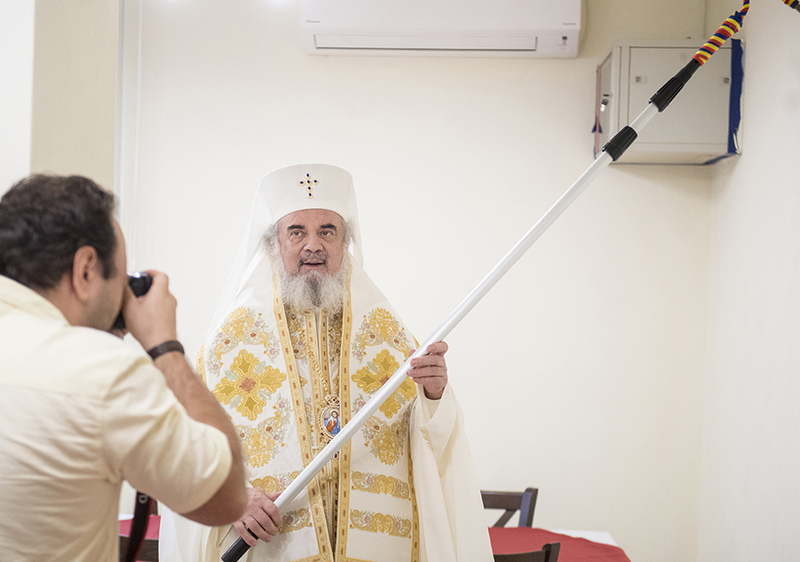 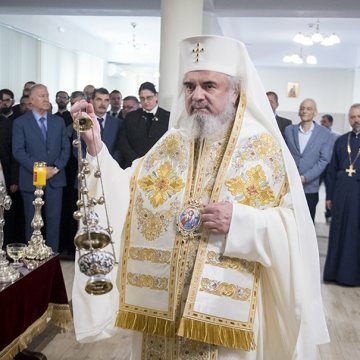 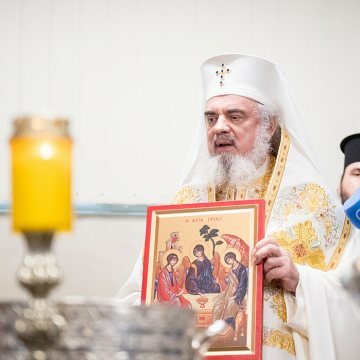 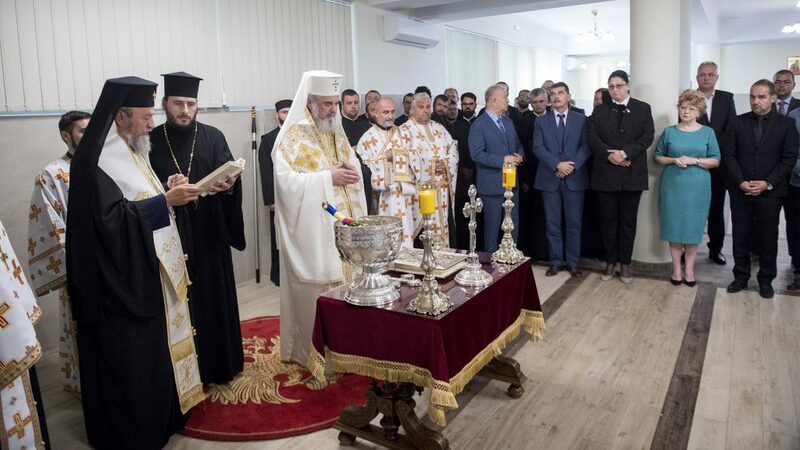 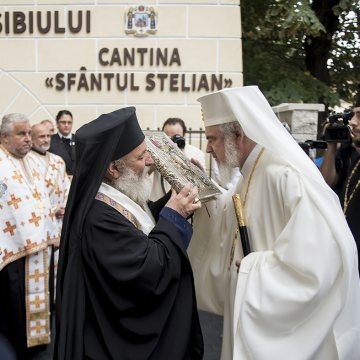 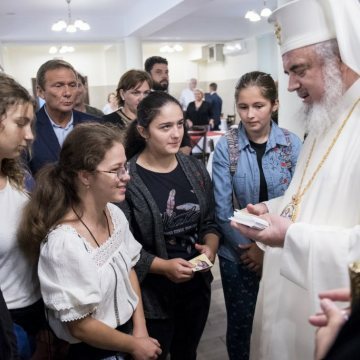 ‘May we always combine Divine Liturgy with philanthropy,’ His Beatitude Patriarch Daniel urged Wednesday at the blessing service for the opening of the St Stylianos Canteen of the Sibiu Archdiocese. 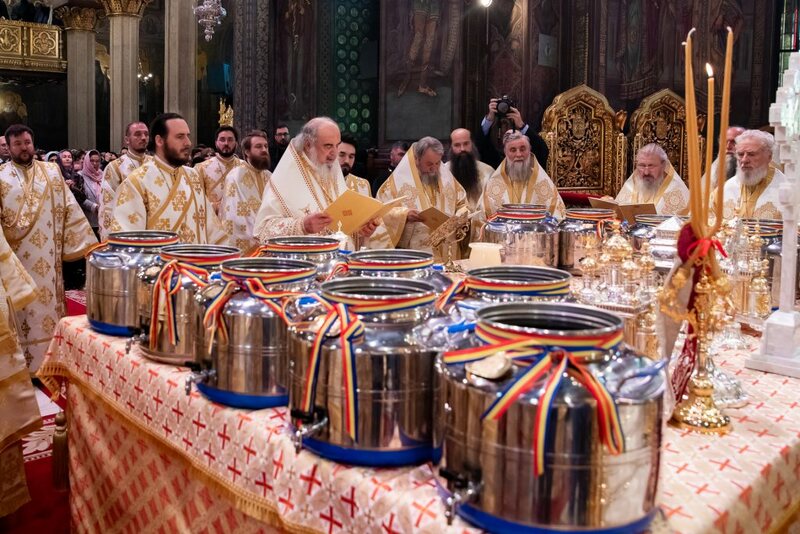 The canteen is located at No. 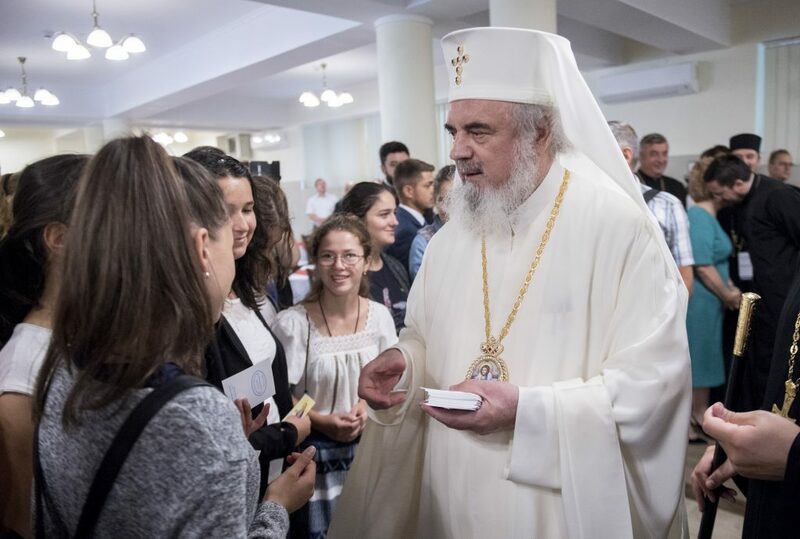 15 Secondary School in Sibiu, which is in the vicinity of the headquarters of the Sibiu Archdiocese. 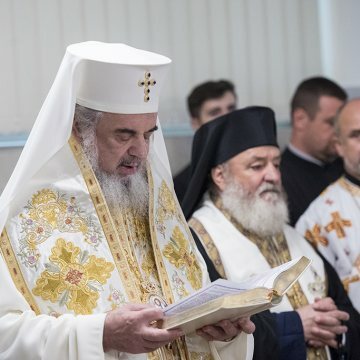 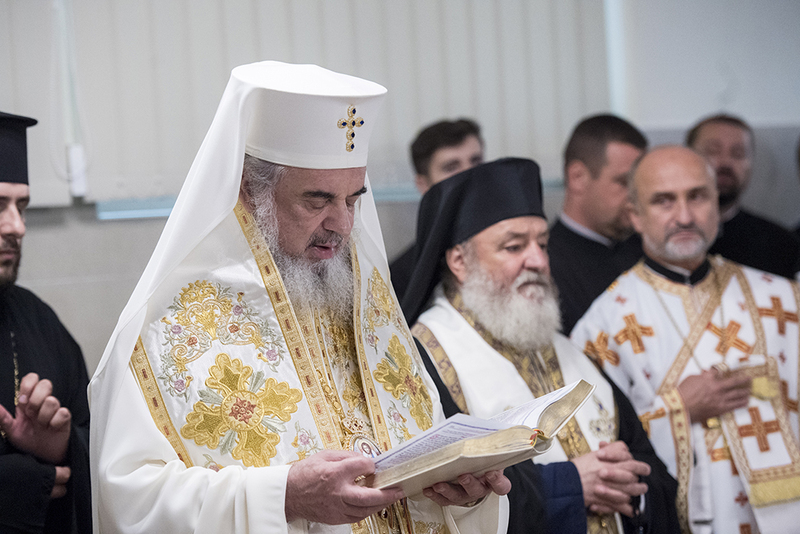 Concelebrants for the blessing service included His Eminence Metropolitan Laurentiu of Transylvania and His Grace Ilarion of Fagaras, Assistant Bishop to the Sibiu Archdiocese. 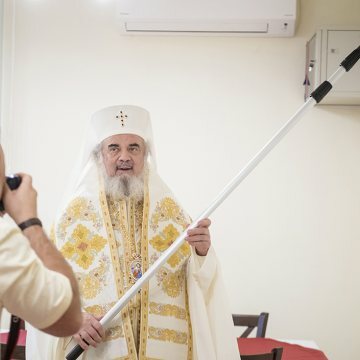 After presenting Metr. 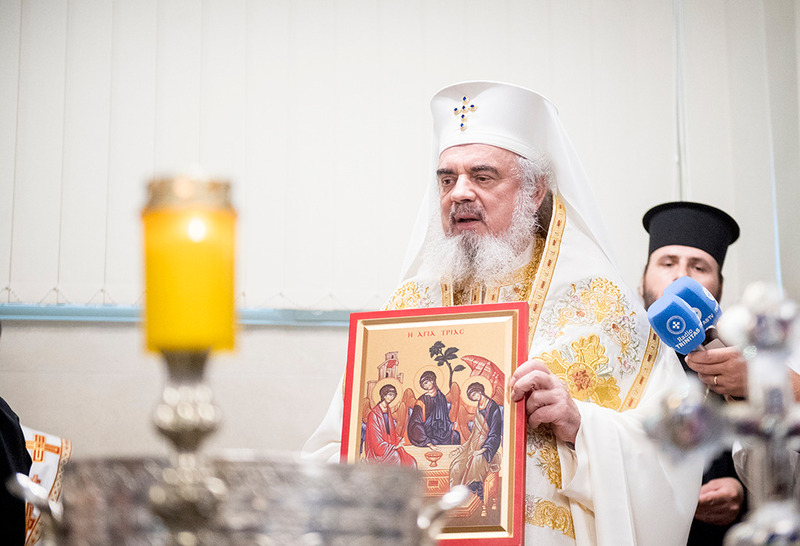 Laurentiu with an icon of the Most Holy Trinity, Patriarch Daniel spoke about God’s help in combining good deeds with liturgical ministry. 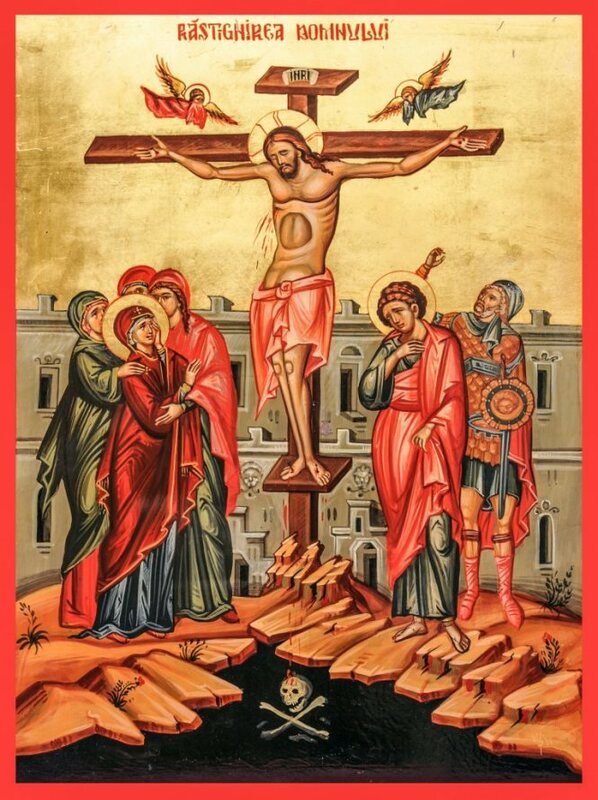 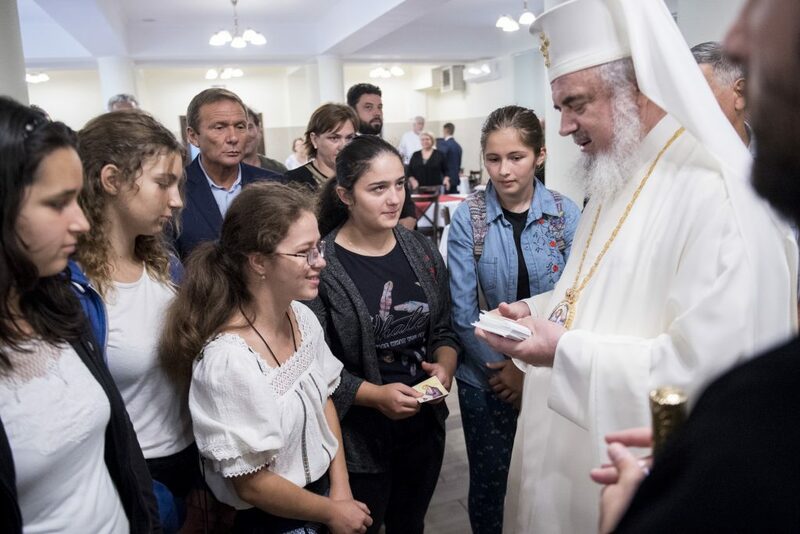 ‘We see in the Liturgy God’s love for humans (…), while in the philanthropy of the Church we are shown the love people have for their fellows, as a response to the merciful, humble, and generous love of the Most Holy Trinity,’ Patriarch Daniel said Sept. 5. 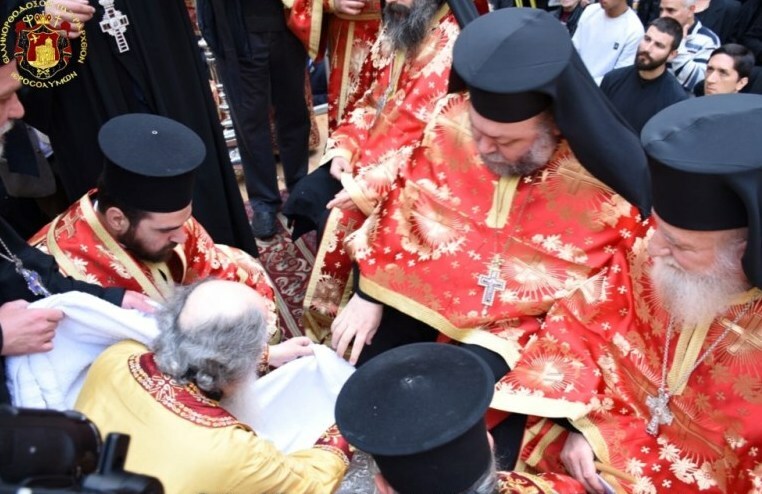 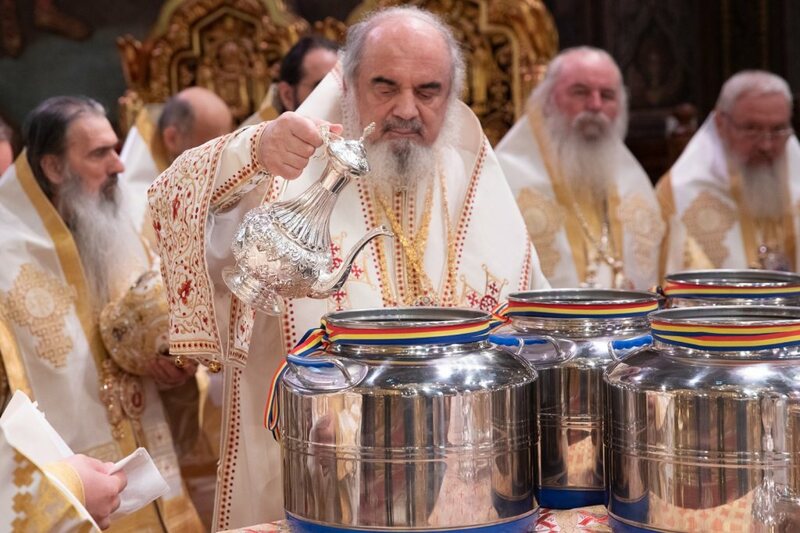 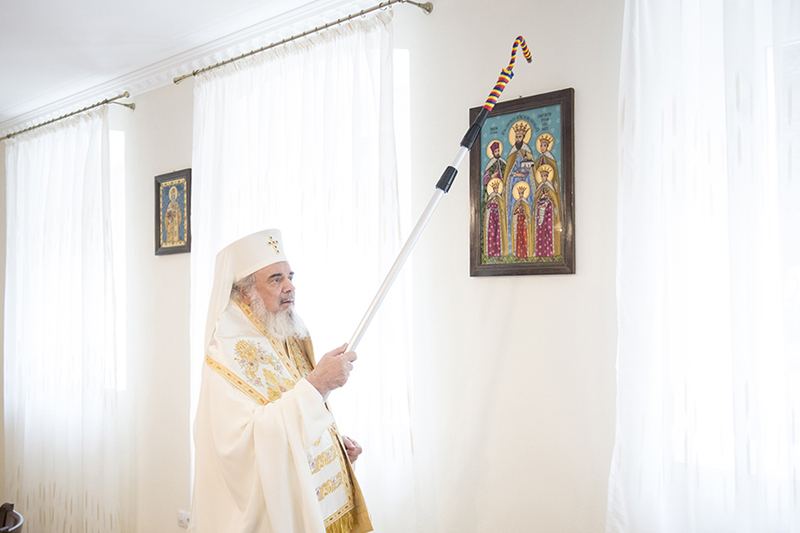 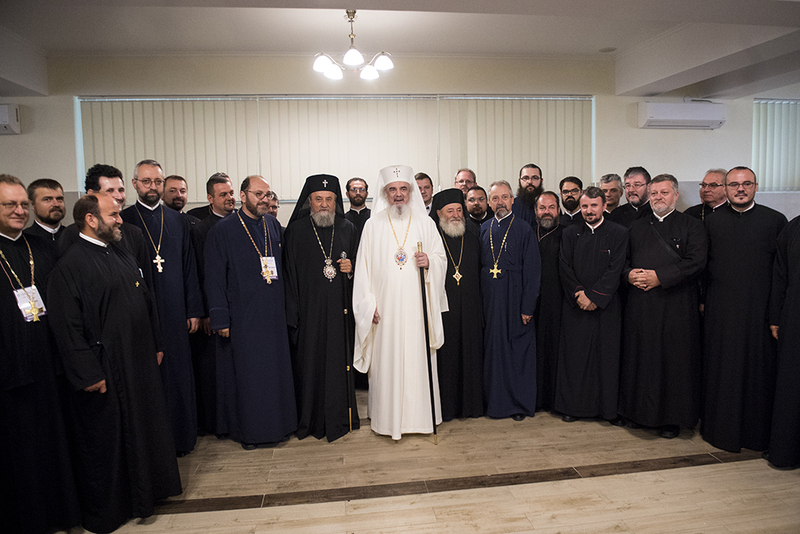 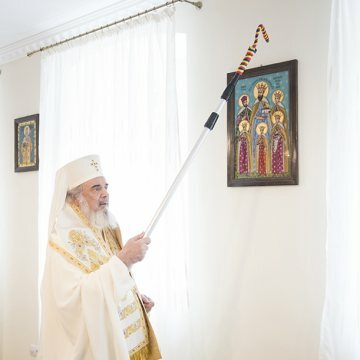 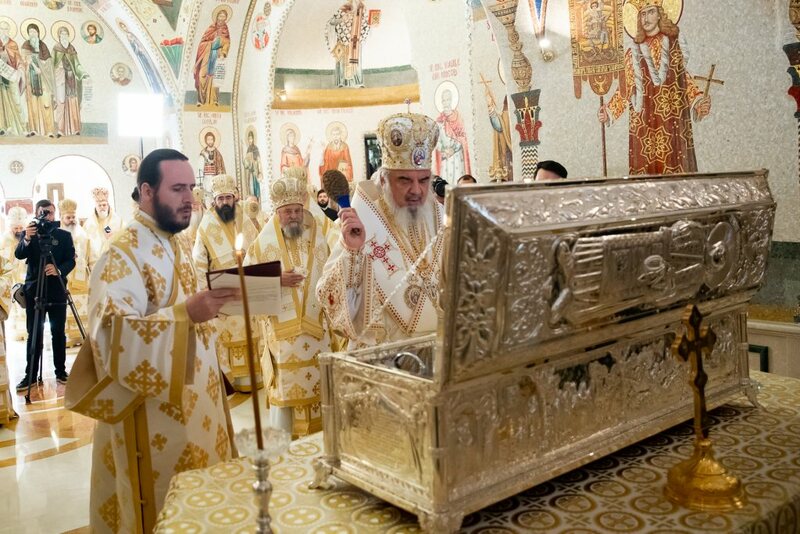 ‘May the Compassionate God help us to always combine Liturgy with philanthropy and to have both the joy of prayer and the joy of doing good deeds,’ the Patriarch added. 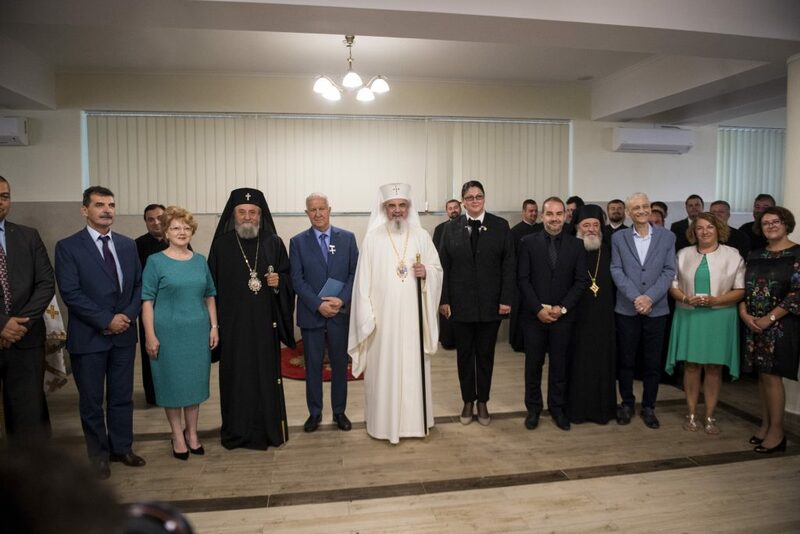 Local and state officials attended the event, including Victor Opaschi, State Secretary for Religious Affairs, and the mayor of Sibiu, Astrid Fodor. 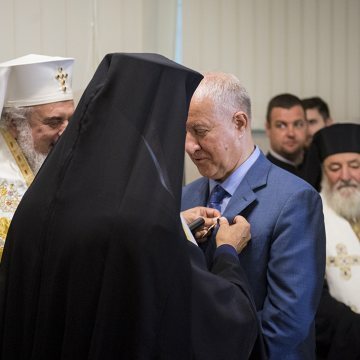 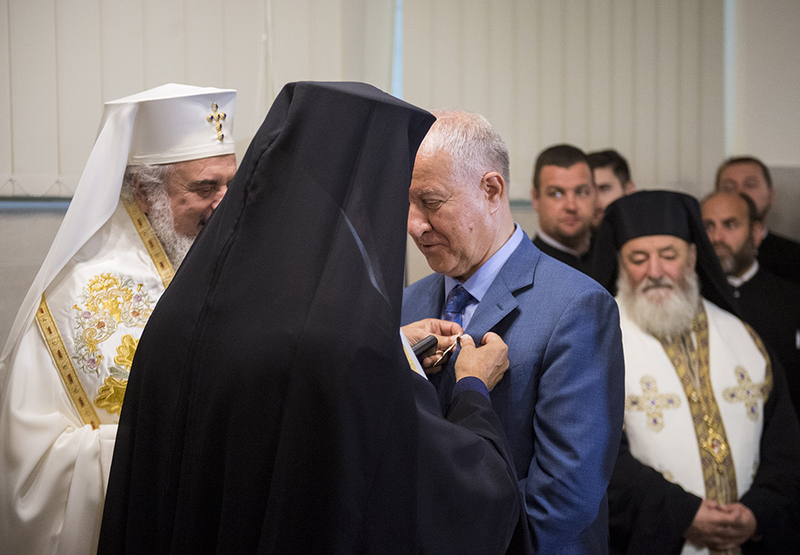 At the end of the blessing service, State Secretary Victor Opaschi was awarded the Cross of St Andrew Saguna for lay people, the highest distinction of the Metropolis of Transylvania. 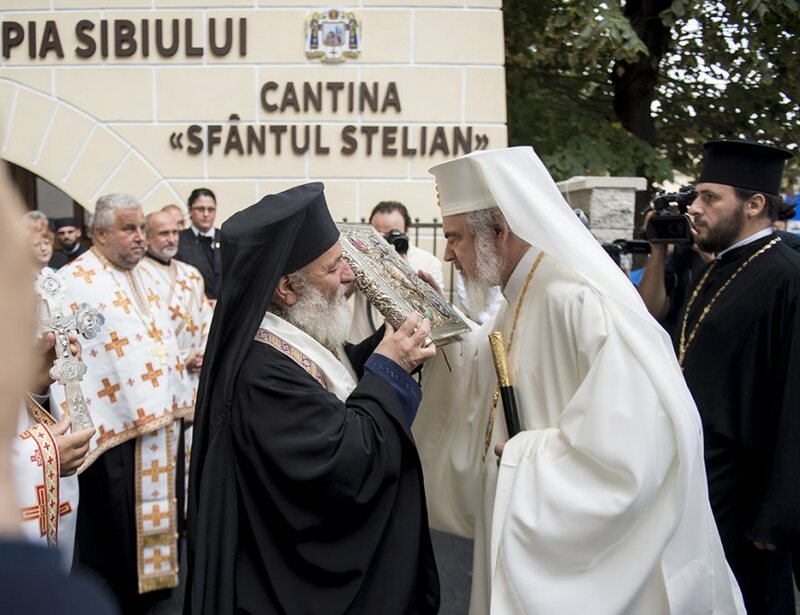 The reopening and the blessing of the St Stylianos Canteen closed 30 years ago was made possible with great efforts, the Metropolitan of Transylvania noted. 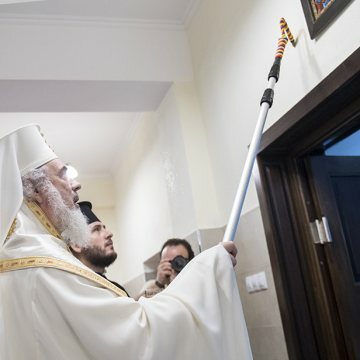 As reported by Metr. 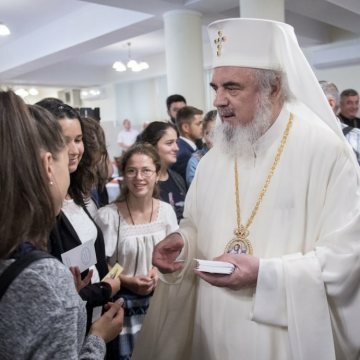 Laurentiu, the canteen will be operational at the beginning of the 2018-2019 school year. 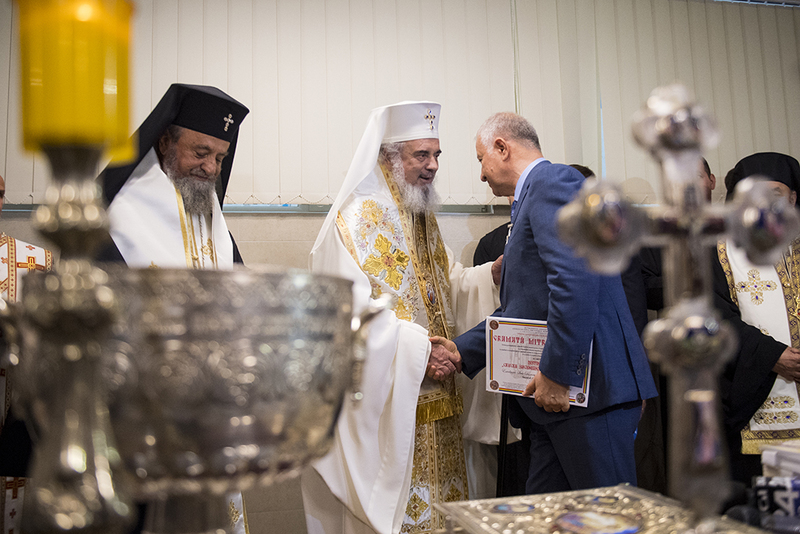 The Canteen will also support the social-philanthropic activities of the Sibiu Archdiocese, to prepare the food that the Archdiocese’s Social Department delivers free of charge to several beneficiaries of the “Table on Wheels” Program. 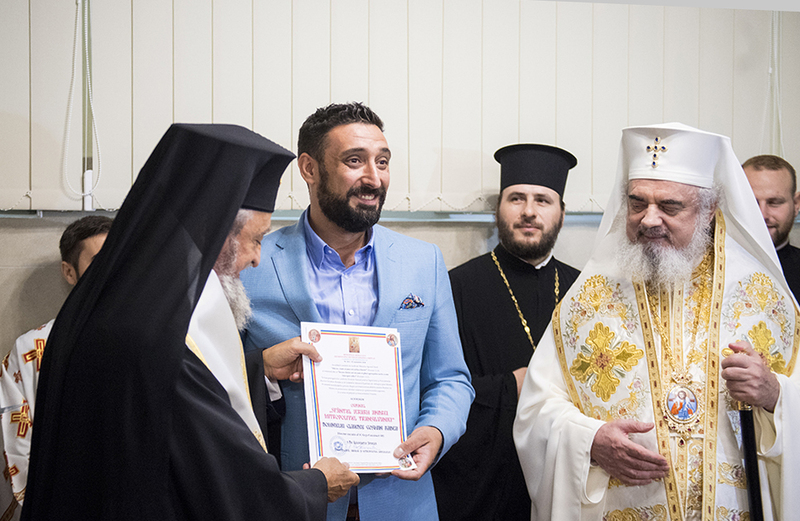 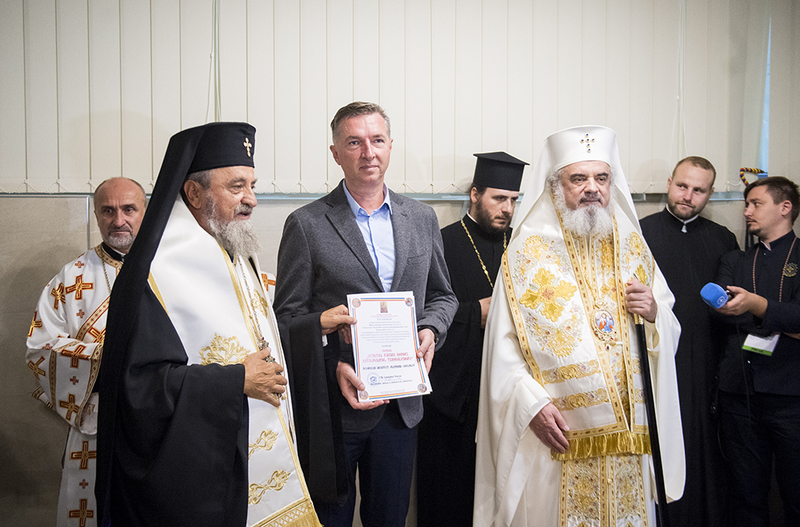 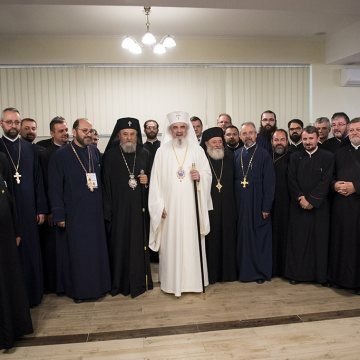 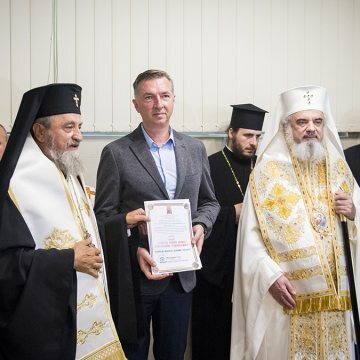 The Metropolitan thanked the officials and all those who supported the re-opening of the canteen, and awarded then the St Andrew, Metropolitan of Transylvania, Order.